"Public Security Ministry Vice Minister Meng Hongwei is currently under investigation by the National Supervisory Commission for suspected violations of law," the Chinese anti-corruption body said in a brief statement on its website. Interpol said earlier over the weekend that it had asked Beijing to clarify Meng's situation. "Today, Sunday 7 October, (at) the Interpol General Secretariat in Lyon, France received the resignation of Mr Meng Hongwei as President of Interpol with immediate effect," Interpol said in a statement on Sunday. The French ministry said last Friday that Meng's family had not heard from him since Sept. 25, and French authorities said his wife was under police protection after getting threats. French police have been investigating what is officially termed in France a "worrying disappearance". Local French media broadcast a video which they said was from Meng's wife Grace, in which she issued a brief statement from a hotel in Lyon to express her concerns. Reuters could not confirm the comments attributed to her. "As long as I can't see my husband in front of me, speaking to me, I can't have any confidence," Grace Meng was quoted as saying by French TV stations and Sunday newspapers. "This is a matter for the international community. This matter belongs to my motherland," she added in the video clips. French media also reported that Meng's husband had recently sent her a mobile phone message featuring a knife image, as a way of showing her that he felt he was in danger. 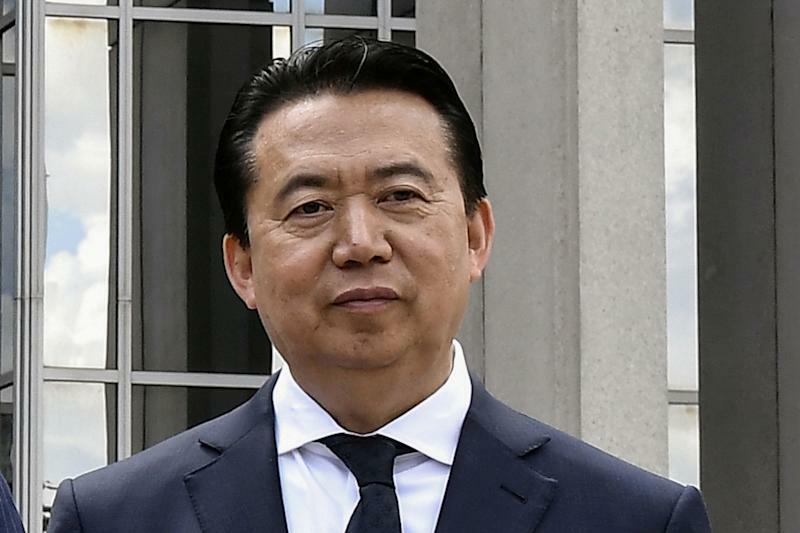 When Meng was named Interpol's president, human rights groups expressed concern that Beijing might try to leverage his position to pursue dissidents abroad. Beijing has in the past pressed countries to arrest and deport to China citizens it accuses of crimes, from corruption to terrorism.